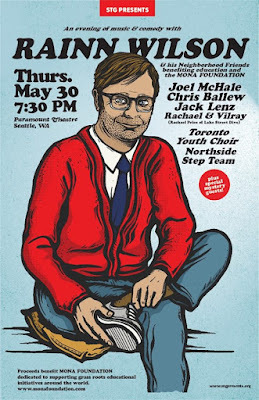 On Thursday May 30, 2019, former Shorecrest Highlander turned Hollywood Leading Man Rainn Wilson will return to Seattle for a night of comedy and music. Whether this means Rainn will be performing a bassoon solo has yet to be determined, but one can always hope. Regardless, the night is sure to be filled with fun and frivolity. 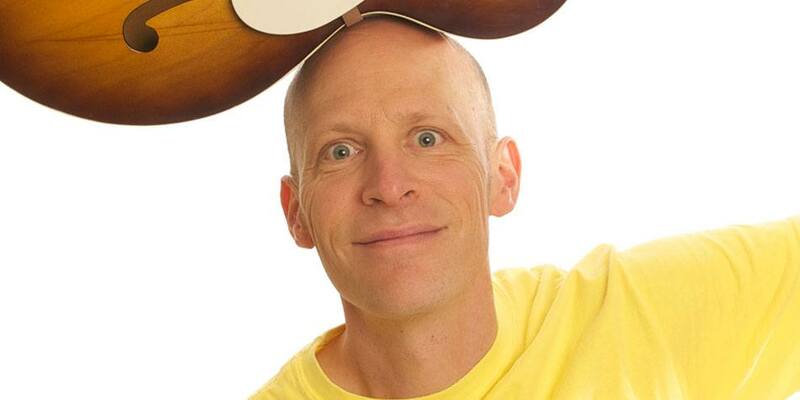 Before becoming a successful actor, husband and father, he strolled the hallowed halls of Kellogg Middle School and then Shorecrest and as a member of the orchestra and wind ensemble, left an indelible impression on those with whom he shared a classroom. However, there is no question that it was his portrayal of Dwight Schrute on “The Office,” which garnered him three consecutive Emmy Award nominations, that made him the fan favorite he is today. As a sophomore in high school, Rainn was a member of MUN - Model United Nations, a program in which students would adopt a specific country, in his case Cameroon, and then diagnose and analyze realistic problems. After doing so, the students would represent their country in mock debates and discussions similar to those held on the floor of the “real” United Nations. Although one would hope the numbers have changed somewhat since 1982, the quality of health care in Cameroon is generally low. Life expectancy at birth is estimated to be 56 years, with 48 healthy life years expected. Fertility rates remain high with an average of 4.8 births per woman and an average mother's age of 19.7 years old at first birth. Although it has one of the highest school attendance rates in Africa, girls attend school less regularly than boys because of cultural attitudes, domestic duties, early marriage, pregnancy, and sexual harassment. School attendance in Cameroon is also affected by child labor. The U.S. Department of Labor reported that 56% of children aged 5 to 14 were working children and that almost 53% of children aged 7 to 14 combined work and school. Among its many other social and economic difficulties, the World Health Organization reports there is only one doctor for every 5,000 people in Cameroon. Statistics such as these, as well as other reported atrocities prevalent in most third world countries, have contributed to Rainn’s interest in donating his time, energy and resources to organizations like Lidè Haiti, an educational initiative he co-founded in 2013. Mr. Wilson has also been a board member, advocate and champion of the Mona Foundation for the past 10 years. Mona Foundation supports grassroots initiatives that provide education to all children, increase opportunities for women and girls, and encourage service to the community. With Rainn’s advocacy and help, in 2018 Mona Foundation supported the education and empowerment of 411,324 students in 16 countries spanning 10 countries including US, Haiti, Panama, Brazil, India, Vietnam, China, Mongolia, Gambia, and Uganda. Named after Mona Mahmudnizhad, an Iranian school student who was executed in 1983 for her religious beliefs – Baha’i – and for teaching classes to children. Mr. Wilson, who is also a follower of the Baha’i faith, has enlisted the help of some of his neighborhood friends for the benefit on May 30th. 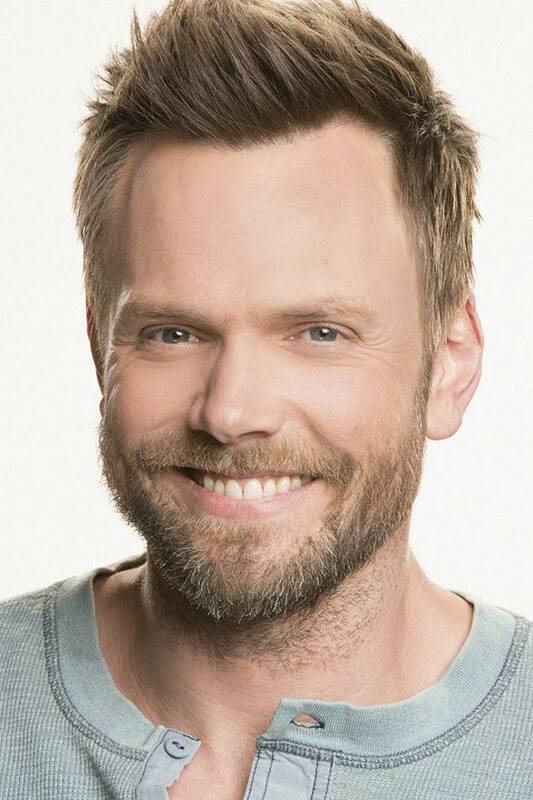 All of the performers including fellow Husky Joel McHale of “Almost Live” fame, Chris Ballew of The Presidents of the United States and Caspar Babypants, The Toronto Youth Choir and several as of yet unnamed “Special Mystery Guests,” have agreed to donate their time and talent for this worthy cause. This event is sure to sell out so secure your tickets today. Enjoy an evening of laughter and song while knowing that in countries like those we have mentioned above, thousands of young women will be singing YOUR praises because of your support.